Ravel spent several nights with Gershwin, listening to jazz at the Savoy Ballroom in Harlem, where dancers did the Lindy Hop to hot jazz from some of the nation’s greatest bands. Ravel also visited Connie’s Inn and the nearby Cotton Club, where he heard Duke Ellington and his orchestra. Personally I find jazz most interesting: the rhythms, the way the melodies are handled, the melodies themselves. I have heard some of George Gershwin’s works and I find them intriguing. There is a musician here endowed with the most brilliant, most enchanting and perhaps the most profound talent: George Gershwin. His worldwide success no longer satisfies him, for he is aiming higher. He knows that he lacks the technical means to achieve his goal. In teaching him those means, one might ruin his talent. Would you have the courage, which I wouldn’t dare have, to undertake this awesome responsibility? In light of all of this, it’s interesting to compare Ravel’s Piano Concerto in G Major, written between 1929 and 1931, with Gershwin’s Piano Concerto in F, written in 1925. Ravel’s music seems to pay homage to Gershwin’s Concerto. The first movement is filled with the sound of the blues, with its ambiguous shifts between major and minor. The final movements of both works share a similar rapid, driving feel. Ravel flirted with jazz in earlier compositions (the sultry Blues second movement of the Violin Sonata No. 2 from 1927, for example). And Paris had been intrigued with American jazz for a while. As far back as 1908, Debussy hinted at ragtime with Golliwog’s Cakewalk. But in Ravel’s G Major Piano Concerto, we hear the blues as if through Gershwin’s ears. Listen to both concertos and see if you agree. Thanks for this very thoughtful blog. I have been a fan of Gershwin since I was in my 20’s. I had no idea he had met Ravel. The excerpts chosen and the points you highlighted were delightful and made good listening. Thanks for the well written article. Perhaps I read too fast but why wasn’t there mention of the second section of Ravel’s Concerto for Left Hand and Orchestra? Here Ravel gives us a stunning taste of jazz of that period with trombone glissandos and more. I was listening to the Ravel today as part of a random Spotify feed. I had heard this before and thought it was Gershwin. What a suprise when I checked what it was. I googled it and found your excellent blog. What a treat and revelation. Not related but I grew up in Rochester. I skipped high school one day to go Eastman to see Stravinsky rehearsing with the Philharmonic. Great orchestra and school. Yes, I’m that old! Thank you for your comment, Robert. I’m glad you found the blog. Watching Stravinsky rehearse at Eastman must have been a memorable experience! He actually came out using a cane and sat in a high back chair while the conductor rehearsed the orchestra. I think the piece was The Flood. I also saw and met Artur Rubinstein at Eastman. I’m glad that I discovered your blog and this site. I’m sure that I will benefit more from it in the future. I live in south Florida half of the year and frequent The New World Center in Miami Beach, which was co-founded by Michael Tilson Thomas (Buffalo Philharmonic among others) and consists of an incredible venue (a little over 700 seats, stadium style) designed by Frank Gehry and young musicians just out of school who spend three to four years there. 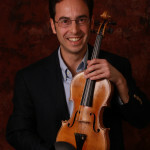 They bring in world renowned soloists to play with the orchestra. I have heard excellent music there and highly recommend it to music lovers. Hi, Timothy. Really enjoyed this piece. I found it as I was researching the composition dates of Rapsodie espagnole vs Rhapsody in Blue. The reason I was interested was because I had just listened to Rapsodie espagnole and recognized it as rather Gershwin-esque. As Rapsodie espagnole was written 14 – 15 years before Rhapsody in Blue, it suggests to me that the young American upstart may have drawn inspiration from Ravel, who was inspired by Gershwin, in turn. Either way, we are all the richer for their mutual admiration and musical cross-pollination. Thanks for the history lesson!